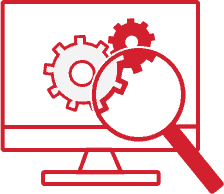 Bringing insurance into the modern age with resources right at customer’s fingertips. California auto insurance company 21st Century, a subsidiary of Farmers, is a major force in providing insurance solutions to the west coast. 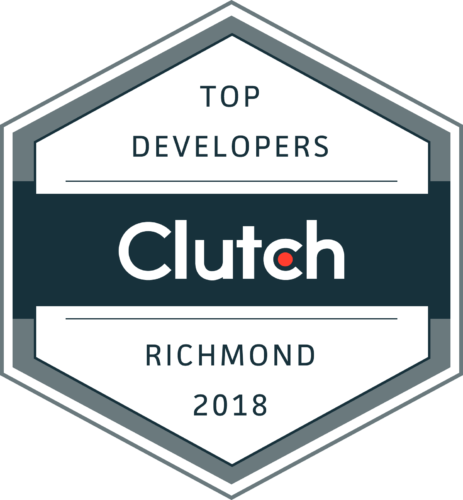 21st Century came to Shockoe in 2015 to redesign the app for a more modern user experience and re-architect the app to eliminate persistent bugs and crashes. The app allows customers to manage insurance-related tasks while on-the-go. Filing claims, calling roadside assistance, paying bills and quick, offline access to an insurance ID card were among the features implemented by Shockoe. As a first step, 21st Century and Farmers underwent a migration effort with their backend technology. Claims data and policy data were moved to a new system to correct persistent issues; 21st Century needed their app to work with the new functions being proposed and implemented by Shockoe. 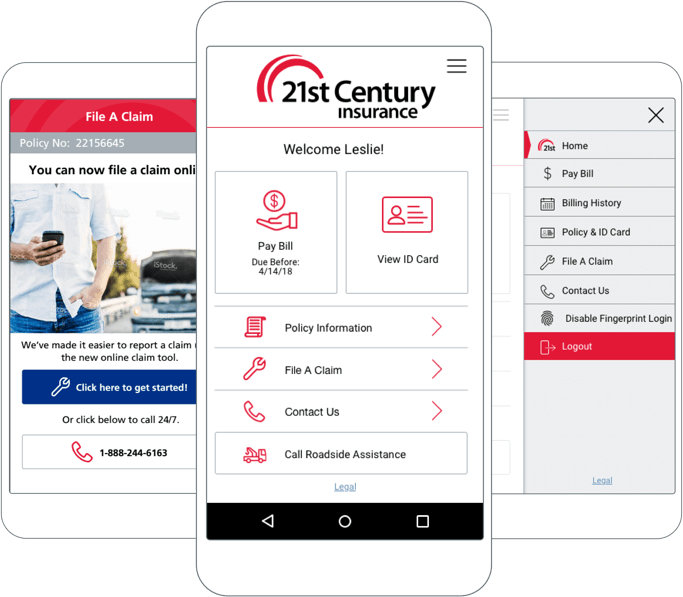 The ultimate goal became one of working jointly to create a more usable and more impactful app for customers to have the 24/7 support of an insurance service. 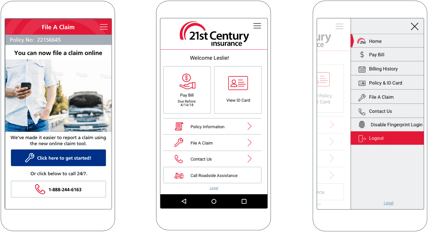 The App ultimately brought improved performance that has been enduring since its inception-driving value and building a stronger relationship between 21st and their clients. As for those app users, Shockoe took the task to analyze and manage consumer relations and propose a roadmap for future platform growth and improved features. It was customer feedback that led Shockoe to create a feature for calling roadside assistance from the login screen — a feature hailed in future releases of the application. 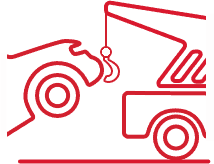 21st Century customers now have a convenient way to contact roadside assistance, an efficient claim reporting experience, and a bill pay process as flexible as they are. Shockoe and 21st Century continue to improve stability and error handling within the app and enhance features based on customer feedback. 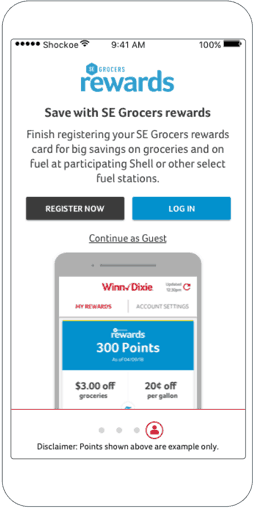 Potential changes include credit card scanning to facilitate payments, improved visibility of transaction history, embedding ID cards within Apple Wallet, and Apple CarPlay voice integration. The app may also evolve to provide customer self-service for additional insurance product lines. The app has proven to be a highly impactful extension of 21st century’s customer-centric business model and reliable way for clients to access their account anytime. Making customers’ lives easier continues to motivate both 21st Century and Shockoe in an ongoing relationship to improve and integrate technology that positions the company as a trusted and leading insurance provider.